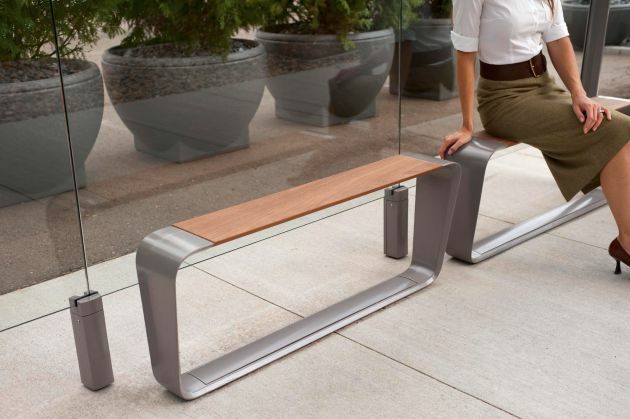 BMW Group DesignworksUSA have created the Metro40 collection of street furniture for Landscape Forms, a Kalamazoo, Michigan based manufacturer of site furniture for outdoor spaces. 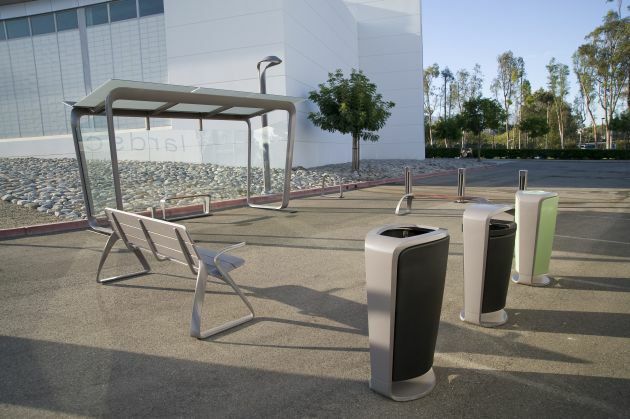 The Metro40 collection includes seating, shelters, lighting, and amenities, and has been developed for use by city planners and architects to help global urban centers elevate the livability, quality of experience, design appeal and overall image of their public transit systems. 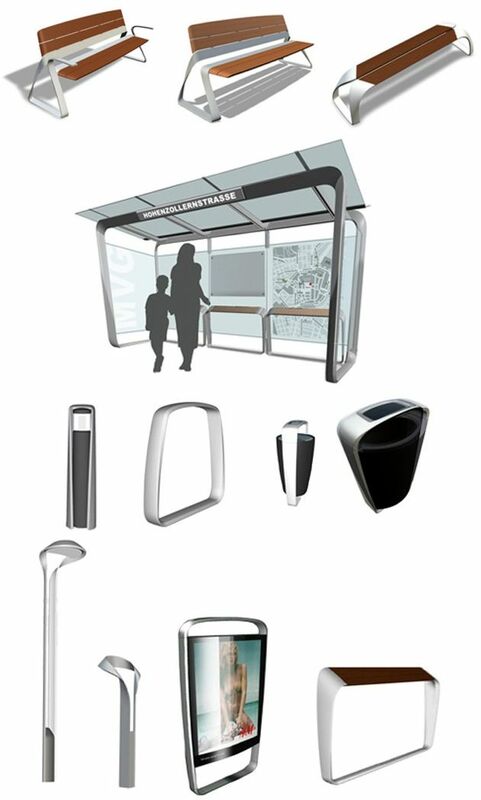 DesignworksUSA’s experience in automotive and other types of design for mobility, from airplanes to trains to yachts, provides a comprehensive understanding of global transportation demands. Additionally, DesignworksUSA is known as experts in translating a company’s brand values and business benefits into emotional design statements. 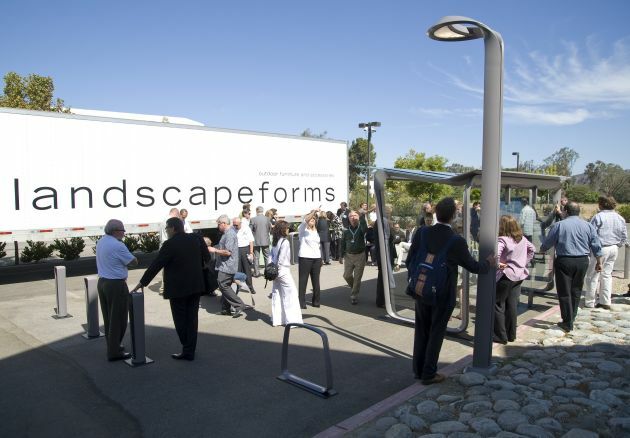 Landscape Forms brings expertise in urban streetscape furniture and amenities of exceptional quality. Both firms share a deep commitment to design excellence and sustainability in materials, structures and processes, all of which is apparent in Metro40. 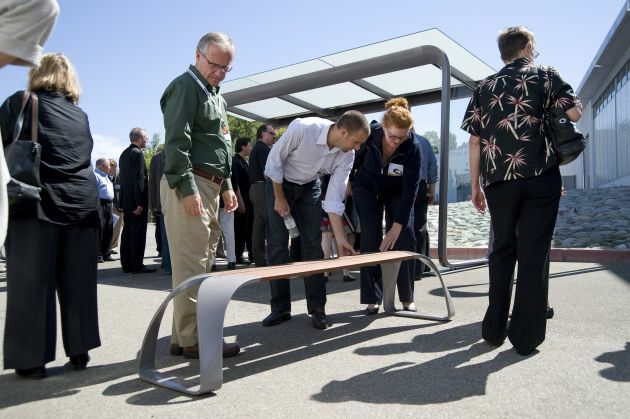 “Bringing great design to public, seemingly anonymous spaces such as transit shelters promotes a very positive, personal impact on people’s moods and daily quality of life,” says Verena Kloos, President, BMW Group DesignworksUSA. “Urban gentrification projects such as the new High Line park in Lower Manhattan demonstrate the importance and value of making cities more comfortable and aesthetically pleasing for their citizens, and the exploration of this dynamic made the Metro40 project with Landscape Forms particularly compelling for DesignworksUSA,” she concludes. 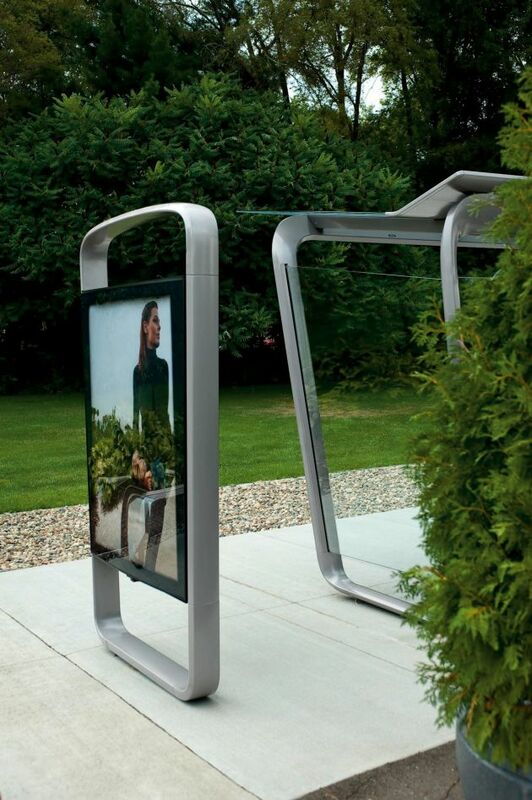 DesignworksUSA’s multidisciplinary studio in Munich led the design with input from the Singapore and Los Angeles studios to develop Metro40. 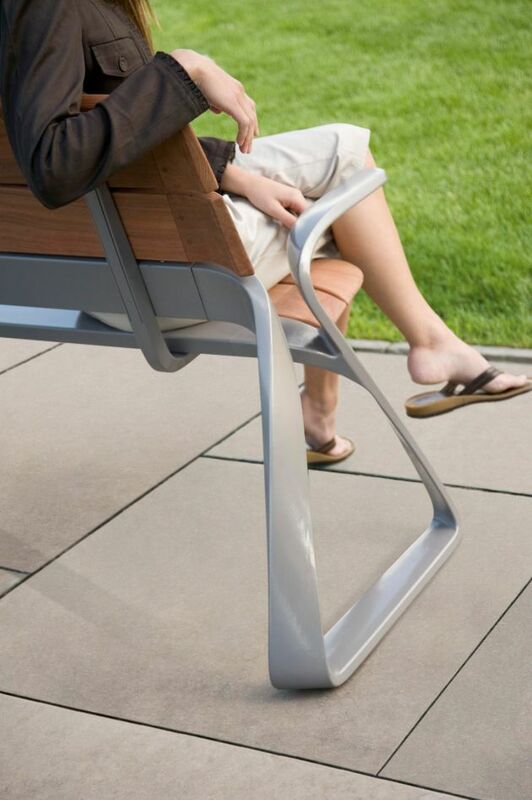 DesignworksUSA provided product design, strategy, and research. 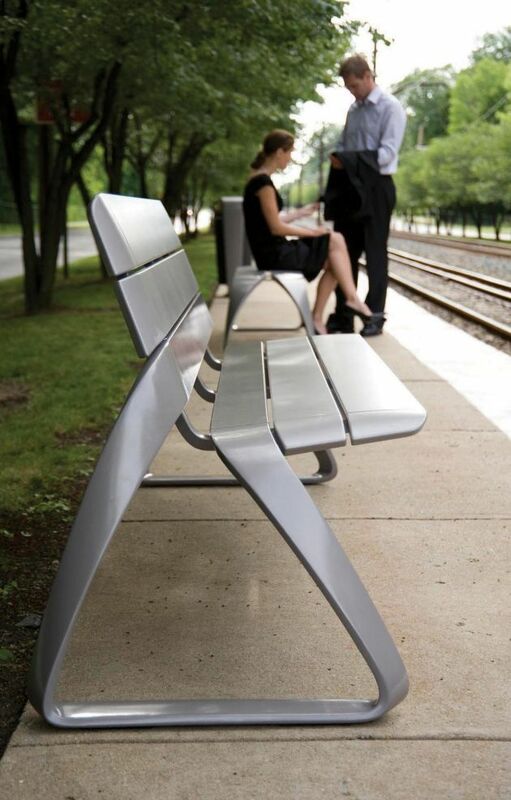 Metro40 sets a new standard for function and aesthetics in the transit site furniture category. Creating a signature style for Metro40 is a daunting task when one considers the multitude of environments where it must appear in sync, and “at home,” with its surroundings. Cultural behaviors vary tremendously from city to city, as does architecture and climate. The extreme requirements of wear and tear are also a major consideration. Further, all products were designed in accordance with Landscape Forms’ strict environmental standards for BIFMA and LEED certification.